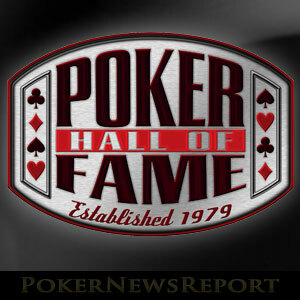 Voting has opened for the public to nominate who they believe should be inducted this year into the World Series of Poker Hall of Fame. Every year since 1979, the World Series of Poker has recognized those who have made a significant contribution to the world of poker by welcoming them into the WSOP Hall of Fame. A list of nominees for the honour is made based on a public vote, and the final one or two inductees are decided upon by existing Hall of Famers and a media panel. 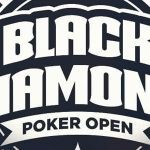 Public voting has just opened for this years´ nominees, and although one player – Phil Ivey – is expected to be a “shoe-in”, the competition will be fierce for the second place in the Hall of Fame. As the inductees will be announced before the WSOP Main Event Final Table gets underway on July 20th, there is only a small window of opportunity to cast your vote. The public can vote for any player or any individual who has contributed to the overall growth and success of the game of poker subject to them being at least forty years old and (in the case of players) having played consistently well at high stakes against acknowledged top competition and gained the respect of their peers. In recent years, inductees have included Daniel Negreanu, John Juanda and Todd Brunson; and last year Carlos Mortensen became the first European member of the mostly “Vegas-centric” Hall of Fame. Phil Ivey was heavily fancied to be inducted last year until it was discovered he lied about his age to enter a poker tournament when he was just twenty years of age. Who is in the Frame for the Class of 2017? Effectively the question should be who is in the frame as well as Phil Ivey. Ivey surpasses all the nomination criteria and continues to raise the profile of poker wherever he travels. He is widely respected by his contemporaries and, although he has not been in the headlines recently for high-stakes tournament victories, he has just arrived in Las Vegas in time for the WSOP Players Championship. Others who may accompany Ivey into the Hall of Fame next month include Chris Moneymaker, Chris Bjorin and Dave Ulliot – all three of whom made it onto the shortlist in last year´s vote – while players who have been considered by existing Hall of Famers and the media panel in the past include Ted Forrest, Huck Seed, and Bruno Fitoussi. Also worthy of nomination are David Sklansky and Mike Caro. 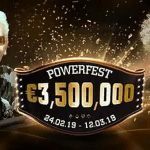 One individual unlikely to appear in this year´s shortlist is PokerStars founder Isai Scheinberg. 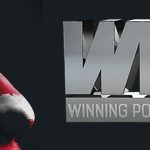 There is no question that Scheinberg has done more to contribute to the overall growth and success of the game of poker than any other in the industry. However, as Scheinberg is still a wanted man in connection with Black Friday charges, it would be politically inappropriate for the WSOP to consider him as a member of the Hall of Fame. If you would like to see your favourite personality considered for induction into the WSOP Hall of Fame, head over to www.wsop.com/phof/ where you will be asked to register to vote, add the name of your nomination(s) (you can vote for more than one person) and explain your reasons why they should be considered for a place among the greats. As mentioned above, the window of opportunity to cast your vote is only a small one. In recent years, the shortlist of nominations has been given to existing Hall of Famers and the media panel for consideration a clear month ahead of the November None. As there is no November Nine this year, and the WSOP Main Event Final Table gets underway on July 20th, you likely have a maximum couple of weeks to play your part in deciding the next inductee into the World Series of Poker Hall of Fame.